Hizballah is an Islamic movement founded after the Israeli military seizure of Lebanon in 1982, which resulted in the formation of Islamic resistance units committed to the liberation of the occupied territories and the ejection of Israeli forces. Hizbollah was established in 1982 during the Lebanon War when a group of Lebanese Shi'ite Muslims declared themselves to be the "Party of God" (Hizb Allah, which is clear in Hizbollah but progressively less so in Hizbollah / Hizbullah / Hezbollah). Israel fears Hezbollah’s growing strength and Iran’s growing influence as a threat to its regional hegemony — a concern shared by its Saudi and American counterparts — and will continue actions in Syria in an effort to counter what it sees as a growing Iranian presence next door. There will eventually be a showdown between Israel and Hezbollah. But the rules of the game have changed dramatically in Hizbollah’s favor since the two last fought. In the 2006 war, Hezbollah gave Israel a bloody nose but Lebanon was devastated in the process. In any future war, Hezbollah will be able to do far more damage to Israel. The organization is much stronger, far better armed and is able to carry out offensive maneuvers after gaining extensive battlefield experience against jihadists in Syria. Also, any future war with Israel might include the involvement of Hezbollah’s allies in Syria and Iraq, transforming what would otherwise be a local conflict into a regional one. Upon the realization that the IDF was entrenching itself in south Lebanon, and influenced and assisted by 1,500 Iranian Revolutionary Guards in Lebanon, Hizballah cells began developing with the immediate desire to resist the Israeli invasion. Hizbollah began establishing its base in Lebanon in 1982 and has expanded and strengthened ever since, primarily due to its wave of suicide bombings and foreign support by Iran and Syria. Hizballah fought alongside troops loyal to Syrian President Bashar al-Assad. Hizballah said the war is necessary to protect Shi'ites from Sunni extremists who had been at the forefront of the Syrian opposition. Hizballah's deployment of fighters to Syria has increased the group's enemies beyond its traditional rival, Israel, to include Sunni extremists. The Syrian regime and Hizballah had a long military alliance, and Hizballah leaders had sought safe haven in Syria and even routed weapons from Iran into Lebanon. So the interplay between the Assad regime and Hizballah has been well chronicled. In addition to the traditional Lebanese Hizballah, which had deployed fighters to Syria since 2011, Islamic Revolutionary Guard Corps (IRGC) General Hossein Hamedani declared in May 2014 that Iran had formed "a second Hizballah in Syria." 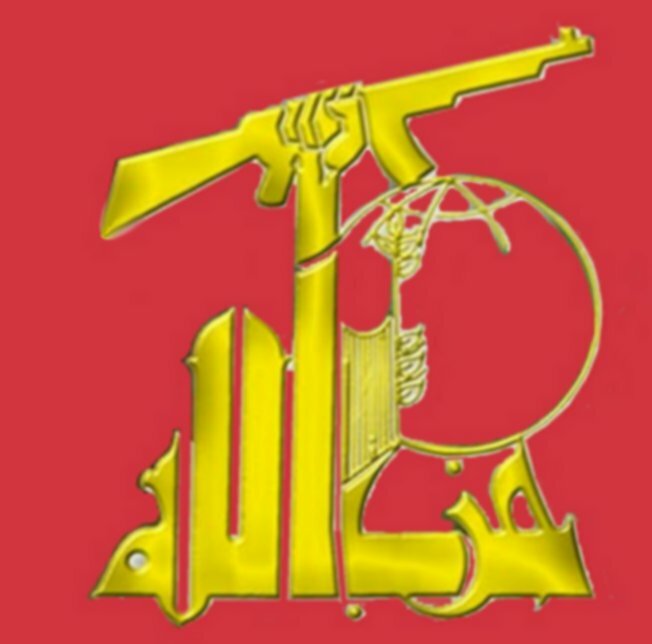 In early 2014, several Shiite militias in Syria began to call themselves, “Hezbollah fi Suriya,” or Hezbollah in Syria. Lebanese Shi’ites doubted the wisdom of the involvement in Syria. When young Lebanese Shi’ite fighters started to return in body bags in 2014, some supporters, especially those in southern Lebanon, questioned why Hezbollah was fighting in Syria, arguing the real enemy is Israel. But a series of jihadist bombings in Shi’ite strongholds of Beirut and suicide bombings in the Bekaa Valley changed that — the critics fell back into line. Formed in 1982 in response to the Israeli invasion of Lebanon, this Lebanon-based radical Shia group takes its ideological inspiration from the Iranian revolution and the teachings of the late Ayatollah Khomeini. The Majlis al-Shura, or Consultative Council, is the group's highest governing body and is led by Secretary General Hasan Nasrallah. Hizballah is dedicated to liberating Jerusalem and eliminating Israel, and has formally advocated ultimate establishment of Islamic rule in Lebanon. Nonetheless, Hizballah has actively participated in Lebanon's political system since 1992. This radical Shia is dedicated to creation of Iranian-style Islamic republic in Lebanon and removal of all non-Islamic influences from area. It is strongly anti-Western and anti-Israeli. A very important factor that developed Hizballah was the establishment of the Islamic Revolution in Iran that was led by the Imam Khomeini. This revolution consolidated new concepts in the field of Islamic thought mainly the concept of Willayat Al-Faqih. The revolution also generalized Islamic expressions against the west such as arrogance, the great Satan, hypocrites and the oppressed. Due to that it was only normal for the ideological doctrine in Iran to take root in Lebanon. This tie was very quickly translated on the ground by direct support from the Islamic Republic of Iran through its revolutionary guards and then to Hizballah that was resisting the Israeli occupation. This religious and ideological tie between Hizballah and Iran following the revolution with its stance towards the Zionist entity had a great effect on releasing vital material and moral support to Hizballah. Hizballah's ideological ideals sees no legitimacy for the existence of Israel, a matter that elevates the contradictions to the level of existence. And the conflict becomes one of legitimacy that is based on religious ideals. The seed of resistance is also deep in the ideological beliefs of Hizballah, a belief that found its way for expression against the occupation of Lebanon. In Syria Hezbollah has become more proficient at mass force maneuvers and of tying together different battle groups — and leveraging all of that with the lessons it learned from the war with Israel in 2006, especially when it comes to defeating armor. It was always the case that there was a fair amount of synergy between the Iranians and Hizballah in terms of tactics, command-and-control and training, The missions they are involved with in Syria are different from what they have been working on with Iranian revolutionary guards in the context of strategic competition with the Israelis. In Syria, Hizbollah has had to become somewhat masterful in counter-insurgency - an insurgent group that has become one of the most capable actors on the ground when it comes to a counter-insurgency role. Hizballah has also learned to coordinate with other other irregular militias that have come from as far away as Afghanistan. And Israel’s arch-enemy has become used to working with the Russian military — calling in airstrikes and liaising when it comes to intelligence and reconnaissance. Hezbollah is learning to use more sophisticated equipment, and it is getting more battlefield experience for its fighter. Other enhanced Hezbollah capabilities include using artillery cover more effectively, using drones skillfully in reconnaissance and surveillance operations and improving logistical operations to support big offensives. Analysts, as well as Israeli strategists, are now trying to work out the possible longer-term implications of Hezbollah’s increased military capabilities — as well as the deepening of its military alliance with Iran. Aram Nerguizian, a Mideast analyst with the Center for Strategic and International Studies, sees the Golan as the flashpoint, one that is better terrain for Hezbollah, if it wants to use its new capabilities. The territory around the Blue Line, the border demarcation between Lebanon and Israel established by the UN, is more constraining for larger offensive operations. “They would like to maintain a stable footing in the Golan and leave troops there after the Syrian civil war is over,” says Nerguizian. And there has been considerable activity by Hezbollah and Iranian guards in Syria’s Golan region, prompting a series of Israeli airstrikes since the start of last year. Israeli officials calculate much of that activity by their diehard foes has little to do with the current conflict in Syria but everything to do with planning for a future conflict with Israel. The State Department's 1993 report on international terrorism lists Hizbollah's "strength" at several thousand. Hizbollah sources assert that the organization has about 5,000-10,000 fighters. Other sources report that Hizbollah's militia consists of a core of about 300-400 fighters, which can be expanded to up to 3,000 within several hours if a battle with Israel develops. These reserves presumably are called in from Hizbollah strongholds in Lebanon, including the Bekaa Valley and Beirut's southern suburbs. The number of members involved in combat activity in southern Lebanon is under 1,000. But it has many activists and moral supporters. After the Israeli withdrawal Hizballah reduced the number of full time fighters to about 500, though estimates range from 300 to 1,200. There are also several thousand reserves, but these lack training or experience. Hizbollah's militia is a light force, equipped with small arms, such as automatic rifles, mortars, rocket-propelled grenades, and Katyusha rockets, which it occasionally has fired on towns in northern Israel. Hizbollah forces are shown on television conducting military parades in Beirut, which often include tanks and armored personnel carriers that may have been captured from the Lebanese army or purchased from Palestinian guerrillas or other sources. Hezbollah fighters have been schooled from a young age to submit to strict military discipline and are nurtured in a culture of martyrdom, believing that God sanctions their struggles. Many have attended university or at least completed high school, and their military and ideological training is rigorous. They are lauded within the Shi’ite communities of the Bekaa Valley and southern Lebanon as defenders of a Muslim sect that traditionally was powerless and downtrodden in a country dominated by Christian and Sunni Muslim landlords and politicians. Established in 1985, the Imam al-Mahdi Scouts is believed to have around 50,000 members, who are distributed amongst more than 500 regiments, many of whom will eventually enter Hezbollah’s armed wing, or will go on to become ardent activists of the group. Even the remainder who do not take up a vocation within the organisation, will still have become heavily indoctrinated as to radical Shiite ideology, passing it on to family and friends. The main topic on the curriculum of the al-Mahdi scouts has always been the destruction of Israel, they are also taught that becoming a martyr to protect their land is the highest of virtues, and during these intensive summer courses, scouts are also taught weapons skills, and take part in target practice. But there is also a lighter side to lessons, where youngsters are taught to read and write, they are also taught computer skills, and lessons in administration. Children as young as eight, who have joined the ranks of Hizballah’s Imam al-Mahdi Scouts, are learn the concepts of Ayatollah Ruhollah Khomeini’s Shiite ideology, ready to be unleashed across the globe. As far as Hizbollah is concerned, they like to find their conscripts at the earliest of age, and one of their favored methods is to sign them up as Imam al-Mahdi Scouts, the youth wing of their fighting machine. The aim of this exercise is to program a child’s developing mind, through teaching the concept of martyrdom, while influencing their hearts with the use of an intense program of indoctrination. At summer camps, which are designed to accommodate children under the age of 10, and youths up to the age of 20, the scouts undergo military training, as well as taking part in various sporting activities. Novices are taught hatred of Israel, a loathing for Western culture, reverence to Iran’s Supreme Leader Ali Khamenei, and at the same time, those attending the camps are expected to swear allegiance to Hassan Nasrallah, the current Secretary General of the Lebanese political and paramilitary party Hizballah. While taking part in parades, which come as part of the scouting curriculum, the youth are often seen attired in military-style uniforms, they also wear berets, and at times, headbands emblazon their foreheads bearing slogans such as “Oh Jerusalem, we are coming”, while on other occasions, scouts have been seen to wear combat paint streaked on their faces, and carry plastic rifles. Once the indoctrinated child reaches seventeen years-old, if the young scout excels in his training, his trainer approaches him with an offer to join the ranks of Hezbollah’s armed resistance group. Operates in the Al Biqa' (Bekaa Valley), the southern suburbs of Beirut, and southern Lebanon. Has established cells in Europe, Africa, South America, North America, and elsewhere. Its training bases are mostly in the previously Syrian-controlled Biqa Valley, and its headquarters and offices are in southern Beirut and in Ba'albek. Hizballah presence in Latin America dates back to the mid-1980s, when the group began sending operatives to the tri-border area (TBA) of Brazil, Argentina, and Paraguay. The TBA is known as a “terrorist safe haven,” given the wide range of illicit activities conducted within it, including money laundering, counterfeiting, drug trafficking, and human trafficking. Data provided by the U.S. Treasury Department indicate that since 2006 over a dozen individuals and several businesses in the TBA have been sanctioned for providing financial support to Hizballah leadership in Lebanon. Robert Noriega identified at least two parallel yet collaborative terrorist networks that he claimed are growing at an alarming rate in Latin America: the Nassereddine Network and the Rabbani Network. These networks encompass more than eighty operatives in at least twelve countries throughout the region. Those countries with the highest presence of operatives are Brazil, Venezuela, Argentina, and Chile. Hezbollah lent support to Assad’s regime from the start of the civil war with small numbers of fighters but committed heavily when the war dragged on to do all it could militarily to save Syria’s strongman, a member of the Alawite minority sect, an offshoot of Shia Islam. Since the Arab Spring, Hizballanh intervened on the side of President Bashar al-Assad in Syria. Hizballah has been in the vanguard of large assaults on Syrian rebels and not just along the border in Qalamoun and Quneitra but also further afield around Aleppo in northern Syria. Anti-Assad rebel commanders estimate that 80 percent of the ground forces the Assad regime has deployed since the Russian bombing campaign was launched in September 2015 have not consisted of Syrians but are made up of Hizballah and Iranian fighters along with Shi’ite volunteers from Iraq, Afghanistan and Pakistan. Israeli defense analysts saw the foray as a blessing — better to have their Lebanese arch-enemy entangled in a war in Syria. But there is increasing concern that Hizballah is getting valuable battlefield experience in Syria, especially when it comes to large-scale, coordinated offensive operations, something the Shi’ite militia had little knowledge of before.